I first caught a glimpse of this gun at the Shooting, Hunting, Outdoor Trade (SHOT) Show in Las Vegas last January. I could never get close enough to it to pick it up, because the lines to handle this new Ruger PC Carbine, chambered in 9mm, stretched back so far and I didn’t have time between meetings to wait. I suspected that some of the women in my local chapter of The Well Armed Woman (TWAW) would be interested in this gun for home defense. Out here, in rural America, many of us shoot rifles while hunting, so having a carbine in the home for personal defense is a natural extension of skills we already are familiar with, and there’s no slide to rack or forend to pump. It comes with interchangeable magazine wells, so it can accept either Ruger SR-Series and Secruity-9 magazines or Glock magazines in 9mm. Or if you own a Ruger American, you may purchase its magazine well for this gun at ShopRuger.com. The takedown is oh-so-easy. Lock the bolt back, push a lever forward with your support hand and twist the forend/barrel area off in a quarter-rotation. Reverse the process to put the gun on. We have a few lefties in our group and they appreciated the reversible magazine release and (get this) reversible charging handle! The cold hammer-forged, fluted chrome-moly steel barrel means the gun fires tight groups at 25 yards and closer. The barrel is threaded, so you can add a suppressor. Or, you may purchase a model without the threading, and just the fluting of the barrel. All barrels measure 16.12 inches. The buttpad is made of soft rubber, which is a real plus, and comes with three, ½-inch spacers so you can adjust the gun to fit your form. 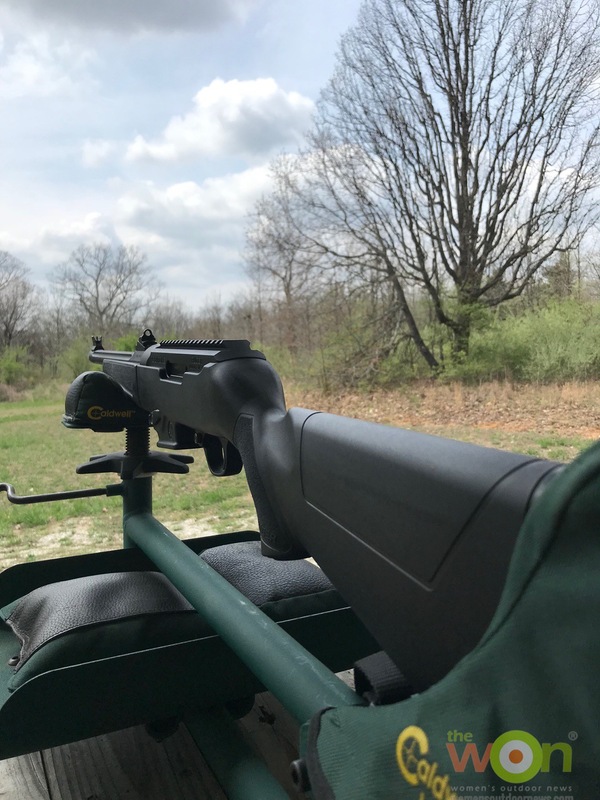 Using many of the components of a 10/22 trigger group, Ruger, came-up with a trigger that has a nice reset and travel length for the PC Carbine. CNC-milled from an aerospace-grade 7075-T6 aluminum billet, the PC Carbine’s receiver has an integral Picatinny rail. Ruger put a Type III hard-coat anodize surface on the receiver for maximum durability. The stock is constructed of glass-filled nylon synthetic material, and comes with sling swivel studs and a forward mounted accessory rail. The grip has just the right amount of texture. The gun has been fitted with an adjustable ghost ring rear aperture sight and non-glare, protected blade front sight. If you don’t know how to use this type of sighting system, don’t worry because it is the easiest of all to use. The thick front sight makes it easy to see, and quick to find in the thin ring (“ghost ring”) rear sight because of the ring’s large aperture. These sights are useful when snapshooting at a target, but they are not designed for accuracy at longer ranges because of the difficulty one has placing the front sight in exactly the same spot in the rear sight for each shot. Some of the women thought the gun weighed in a little on the heavy side, at 6.8 pounds, but because it was a dry fire class, the women could not experience the carbine’s low felt recoil. Even though its weight may be too much for granny, I find it manageable, and the weight certainly helps mitigate any recoil from firing 9 mm cartridges. In addition, the gun is built with a custom tungsten dead blow weight that shortens the travel length of the bolt, reducing felt recoil. And the bolt? It’s a generous size, made of heat-treated, chrome-moly steel. As such, I can get the gun back onto the target very quickly from shot to shot. Its trigger measured 4 pounds, 9.5 ounces on average. The separate pulls measured between 4 and almost 5 pounds. The PC Carbine comes in 3 versions: a 17-round capacity magazine (the one I tested) and threaded barrel, a 10-round capacity magazine with fluted barrel, or a 10-round capacity magazine with a threaded and fluted barrel. Each one is packed with 1 SR-Series pistol magazine of the appropriate capacity, hex wrenches for rear sight adjustment, buttpad spacer adjustment and charging handle removal. It also includes a manual and trigger lock. I’m working with a torque-wrench to tighten the charging handle as I assemble the pieces after cleaning. 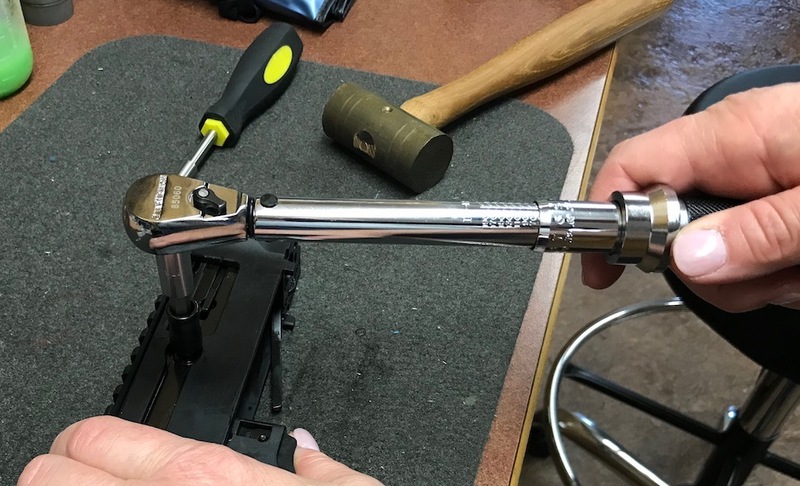 Note, the owner’s manual specifies 65 inch-pounds of torque for the screws that attach the stock to the receiver and the charging handle to the bolt, so be prepared to buy an inch-pound torque wrench if you don’t already have one. I then shot the gun at 25 yards onto a steel 6-inch plate, in an off-hand position, with and without a sling. Without a sling, I hit 7 out of 10 times in rapid fire, and with a sling, 9 out of 10 times, again in rapid fire. I then, took the steel target out to 50 yards, hitting 50% without a sling and slightly better with a sling. 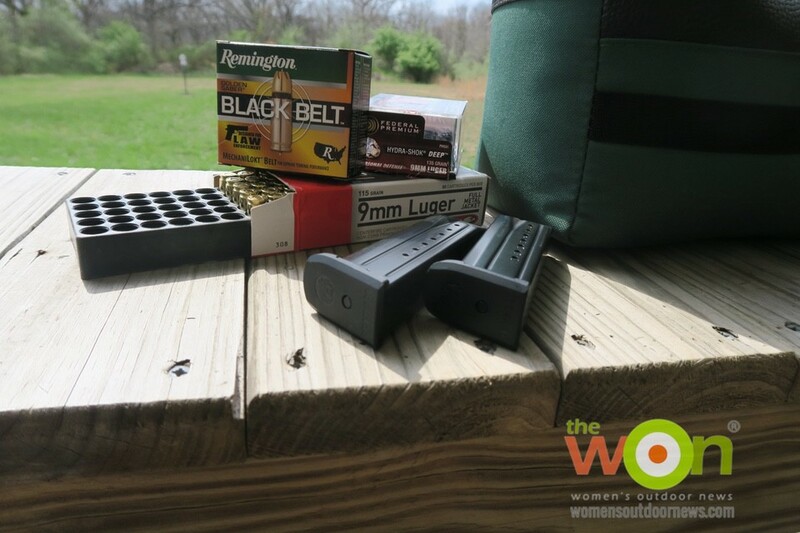 When a friend from TWAW came over to shoot the gun, she shot it off hand, no sling, and saw groups under 2 inches at 7 yards, again and again. She’s a senior citizen, and liked the balance and fit of this gun. Since the barrel of this carbine is longer than most handgun barrels, expect cartridges fired from the PC Carbine to exhibit higher muzzle velocities than one will see from a handgun. I haven’t yet seen performance data from major ammo manufacturers that shows the effects of longer barrels on their 9mm personal defense ammunition. The higher velocities, however, from a gun with a longer barrel will affect the terminal performance of 9 mm projectiles, so it is a good idea for you to test any personal defense ammunition on suitable target materials. I like the fact that the magazine holds 17, and I have an extra few magazines from my SR-9, so I feel as though I have a good backup system in place for this gun. 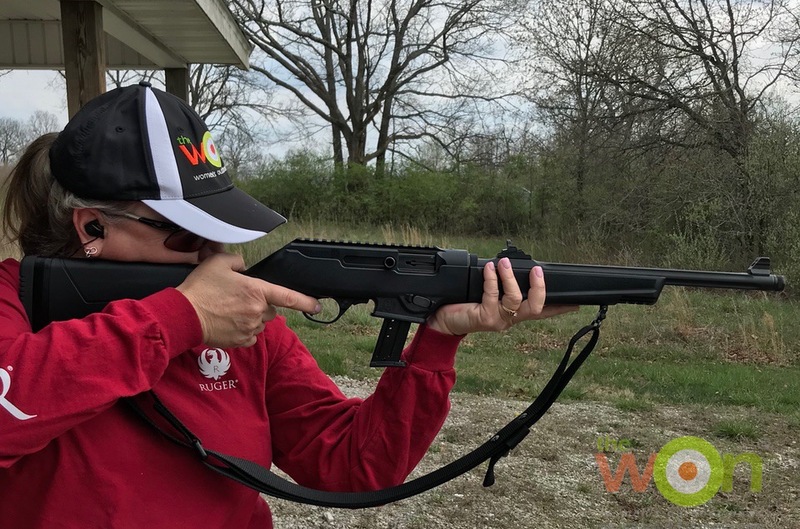 If you know someone who shrinks from the idea of using a shotgun for home defense, specifically because of recoil issues, this might be the gun for her. Oh, and the PC Carbine is really easy to clean, too. The takedown makes it fast to get apart and then, cleaning the barrel is like cleaning any standard rifle. 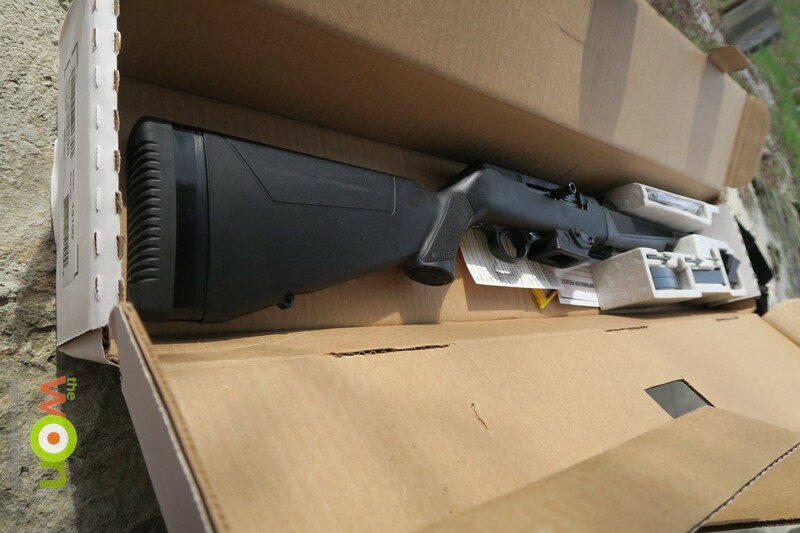 Unlike a 10/22, cleaning from the gun’s muzzle or using a pull-through cleaning cable isn’t necessary because there is no receiver in the way. In the Owner’s manual, Ruger says, “It may be occasionally be desirable to clean the bolt and firing pin.” I’m not sure what they mean by “occasionally,” but the bolt in my gun definitely needed cleaning after 600 rounds! This gun is most def staying around our old ranch, and I sling it when I’m out walking around looking for sheds and now, mushrooms. It fits easily into my rifle case on my ATV, too.